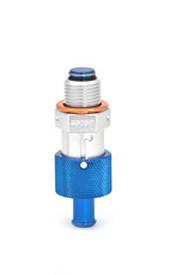 In 1995, we designed and developed a new 'push-and-twist to lock open' oil drain valve. 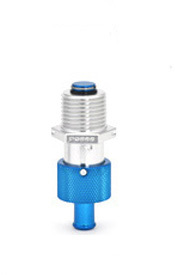 It was a unique design that received a US patent. 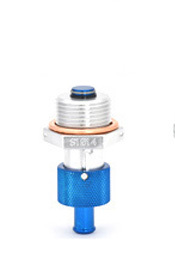 This series of oil valve now covers most aviation engines made. 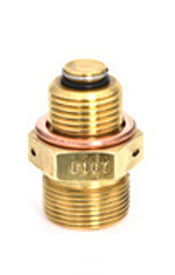 The oil valve will accept a 3/8“ hose to drain the hot oil into a proper container for disposal. 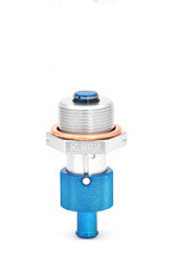 The standout feature is that the valve stays in place and does not need to be removed during the oil draining process. 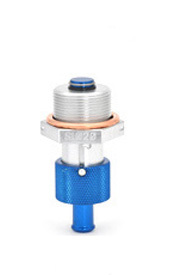 This means that you only have to safety wire it once, not every time you change the oil. 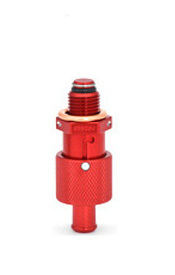 Changing hot engine oil has never been easier! 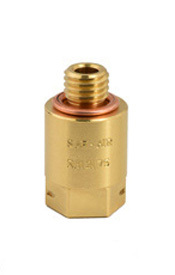 With the SAF-AIR Products, Inc. oil drain valve, no wrench is needed to remove the drain plug. 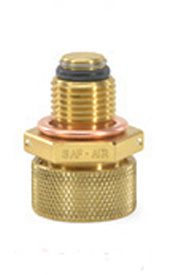 A simple push-and-turn of the SAF-AIR valve locks it into the open position. 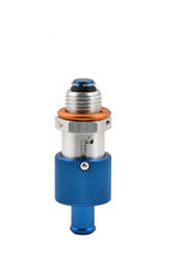 The valve is made entirely from anodized aluminum and stainless steel components. 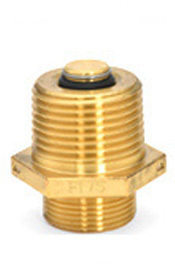 These materials are used throughout the aircraft industry due to their strength and durability. 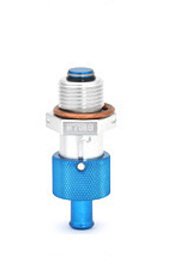 FAA & PMA APPROVED. 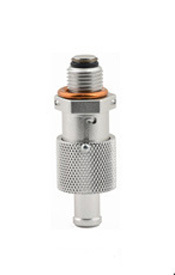 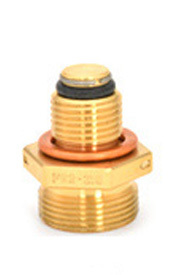 This valve is the perfect choice for a close clearance engine oil drain application, such as on the Piper Arrow. 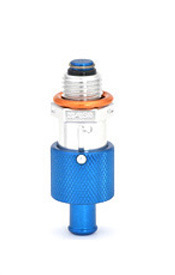 These low profile oil drain valves are designed to clear retractable landing gears and other restrictions. 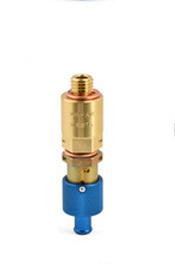 The valve is very affordable and can be rebuilt. 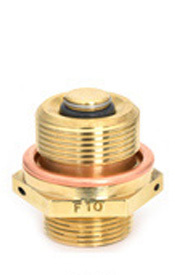 It is a simple procedure to sample or drain hot oil. 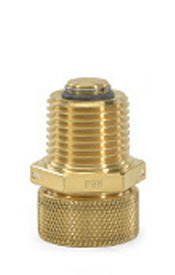 Merely screw on the opener adapter and slightly open the valve for a sample, or fully open for complete drainage. 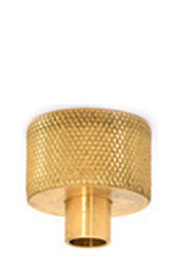 The valve is made from 360 brass and 302 stainless steel. 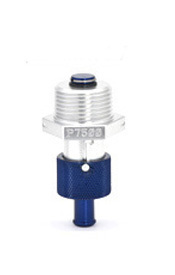 FAA & PMA APPROVED. 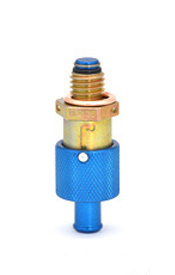 To order a replacement oil valves , please visit our distributor list and place an order with your preferred provider. 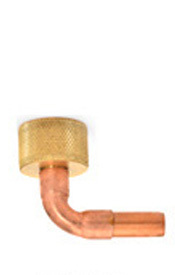 Or, for more information about our products, contact us today to speak to a representative.